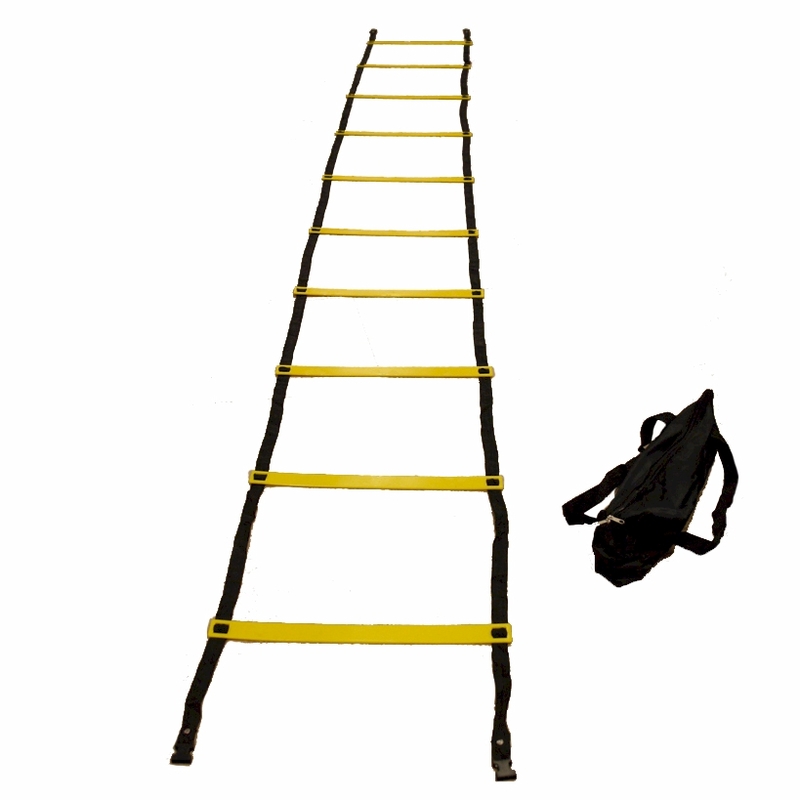 The basic agility ladder is used by professional athletes, physical therapists, and more. A great tool for both indoor and outdoor group fitness classes. 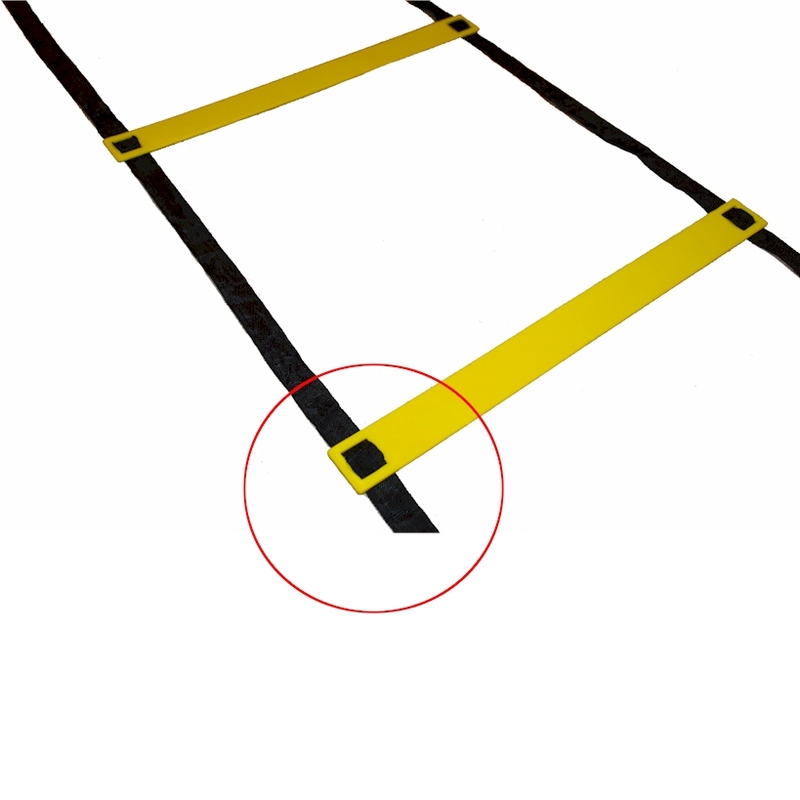 The PVC rungs are fixed in place and cannot be adjusted. This agility ladder is suitable for any age group, including youth. Comes with a carrying bag. Color: black nylon sides and yellow rungs.